About us - TMC Engineering Ltd.
TMC has been an authorized Star Buildings partner since 2001. Based in the USA, Star Buildings is the leading worldwide provider of custom designed metal building systems for commercial and industrial use. Star Buildings was founded in 1927 and has nearly a century of experience with over 300,000 satisfied clients around the world. Star Buildings withstand the test of time. As the industry leader, Star sets the standard for innovation. A Star building incorporates the latest technological developments resulting in maximum durability, the lowest operating costs, and the highest resale value. Star Buildings are customized for your specific needs. It can be an efficient building, a green building, and a beautiful building all at the same time. In short, a Star Building is your building. TMC Engineering Ltd was founded by Terrance McCoy shortly after retiring in 1999. He provided civil and structural engineering services along with being a Star Buildings Authorized Builder. When he passed away in 2006 the Bahamas lost a great figure in the construction and engineering industry. His son, Lee McCoy, took over the company. 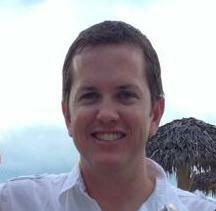 Lee graduated from Virginia Tech in 2003 with a dual degree in Aerospace and Ocean Engineering. After graduation he worked in the construction industry both in the field and in the office, playing a management roll in one of the largest projects undertaken in the Bahamas. 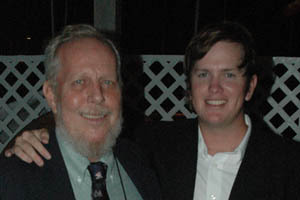 Upon the death of his father, Lee chose to leave his current position and continue to run the company his father created. At TMC Engineering we strive to provide a quality product at a highly competitive cost. We keep our overhead low. We deliberately limit the number of projects we work on at any given time to guarantee that each project receives our maximum care and attention. Projects are scheduled according to our capacity and your construction schedule to ensure that your building is delivered on time and on budget. We are a non-stocking distributor for Star Buildings which means that your final product is custom ordered and arrives directly from the Star Buildings plant in Tennessee with all backup pieces, extra fittings, and spares included in the package. This provides tremendous savings for the end-user and guarantees a first rate product in the minimum construction time. Once you contact us, we will provide a general quote to get the process started. We will work with you and your team to ensure the project is completed to your exact specifications. Along the way we will suggest options that will increase the value of the project, save you time, and most importantly save you money!